Harry Guggenheims Falaise estate has been preserved as a museum. As with any piece of history, Gold Coast mansions are about three components: the architecture, the artifacts and the people who lived there. From the Gilded age into the Jazz age across the north shore of Long Island, hundreds of mansions were erected but fewer than half still remain today. Falaise, which is French for cliff, was the home of Harry Guggenheim and his second wife Caroline Morton. A modest beauty in appearance and function, the estate is now a preserved museum, inclusive on the same ground as two other historical homes: Hempstead House and Castle Gould. Docent Ken Horowitz provides tours of the property and delves deep into the story behind the Guggenheim estate, including the property’s previous owner, Howard Gould. The pool was a later addition, which Guggenheim used for exercise in his later years. Daniel Guggenheim and his wife, Florence, purchased the property in 1917. 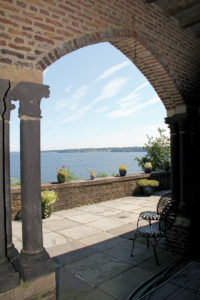 They named Hempstead House after the harbor and made the estate their home. Daniel’s parents came to America from Switzerland, but it wasn’t until years later that the Guggenheims got involved in mining, leading to the grand wealth of the family, which Harry was able to partake in upon his birth on August 23, 1890. In 1923, when Harry married his second wife Caroline, his father gifted the couple 90 acres of waterfront property on the Sands Point estate. 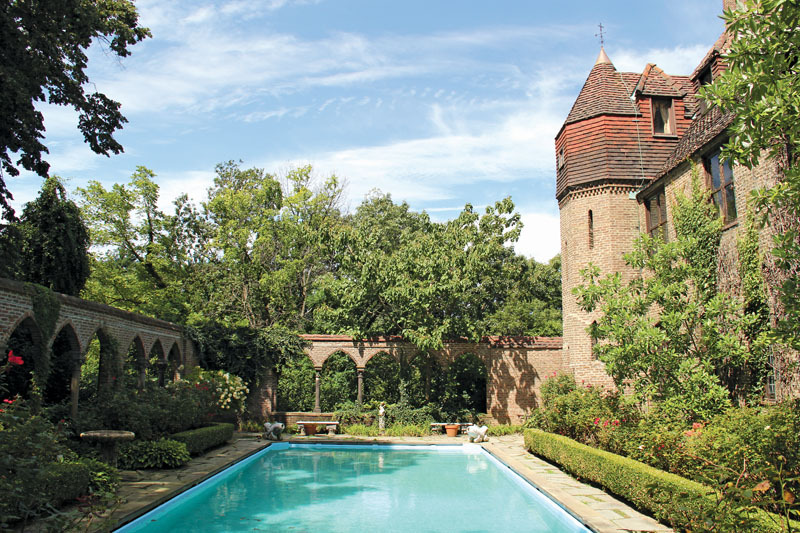 Modeled in the Northern French Château style and completed in 1924 by famed architect Frederick Sterner, Falaise was one of the more modern and modest homes on the Gold Coast during that time. 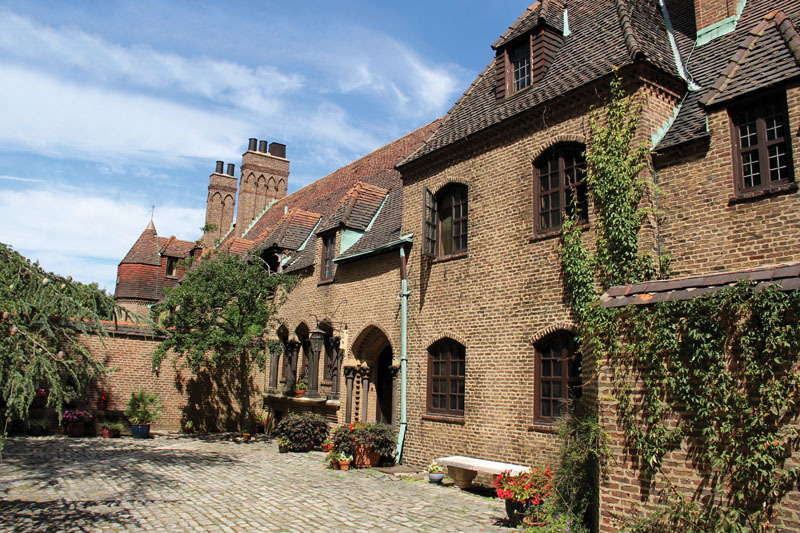 The home has a total of 26 rooms and features an enclosed cobblestone courtyard, bricks from Holland, Italian tile, original floors and an original roof. A Renaissance French door and lava stone columns from the country frame the entryway to the house. 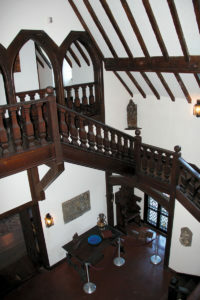 Inside, it is an obscure house, pitting dark staircases and beams against cream plaster walls. Inside, styles and décor of the Renaissance are seen throughout in various styles of French, Spanish and Italian origin. The Guggenheims did not desire a home that was ostentatious and made a point to make Falaise on a smaller scale than the other properties on the grounds. This became their summer home from May until November. A favorite guest: Charles Lindbergh’s car resides in the garage. Throughout the house, any of the rooms that are bright and airy are thanks to Patterson, who made revisions to her own bedroom and an alcove that she used to play bridge. 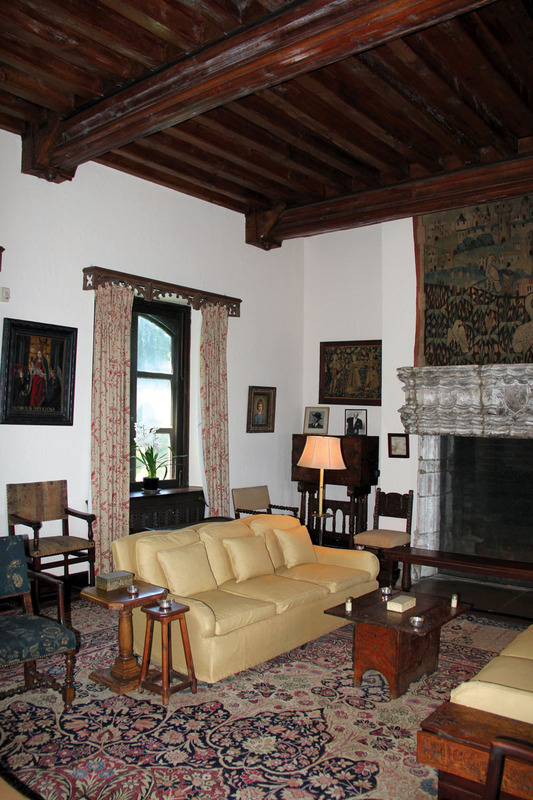 There are also two libraries in the home, one belonging to Harry and the other, a book room for Patterson. On the basement level of Falaise is where Harry kept his trophies. The trophy room also features Harry’s medals, pins, ribbons, awards and paintings depicting his avid interest in thoroughbred racing. Although the Guggenheims resided in the house for several months, they did welcome day and overnight guests. A frequent visitor and friend to Harry was aviator Charles Lindbergh. It was at Falaise where Lindbergh wrote his autobiography WE. In the hallway outside his chosen room, there is a framed page of his manuscript, detailing the creative process, complete with line cross outs and edits. 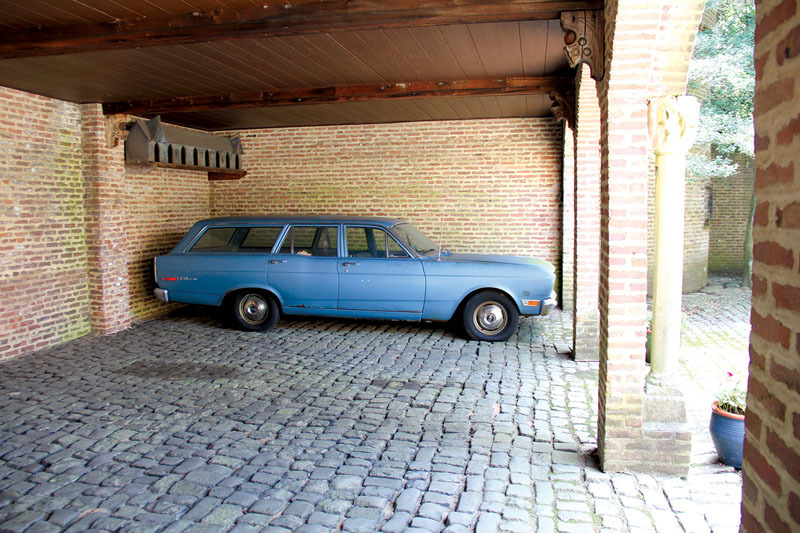 Another prized possession of Falaise is Lindbergh’s blue car, which resides in the courtyard garage. 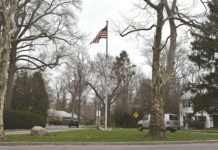 The cliffside mansion is one of the few Gatsby-era homes that remain of the hundreds that populated Long Island so many years ago. When Harry died in 1971, he donated Falaise to Nassau County. Today, the nonprofit Sands Point Preserve Conservancy handles all of the operations and manages the preserve for the county. 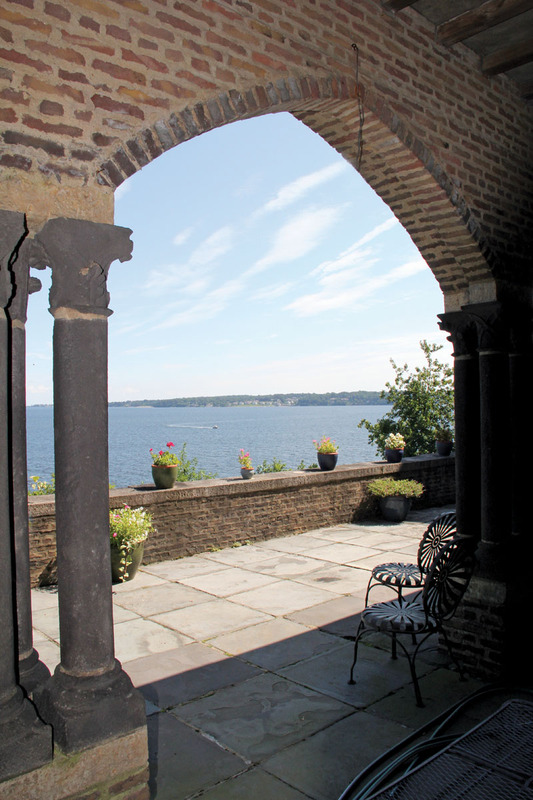 Falaise as Harry Guggenheim’s European dream home is a reflection of the beauty of the past, but overlooking the calm waters of the Long Island Sound is a view that will serve just fine for the future. 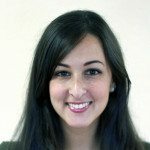 Jennifer Fauci is the managing editor of Long Island Weekly, Boulevard and Anton Media Group’s local magazines. Her passion for literature, travel and the arts lend to the unique content in her publications. 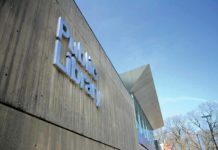 In her time at Anton, she has received first place in the Folio Awards, second place for the NYPA awards and is the recipient of three PCLI awards.